The horse has always been considered to be the warrior animal by excellence. For centuries, military tactics required the use of horses in warfare while, for a very long time, cavalry conclusively determined the outcome of battle. 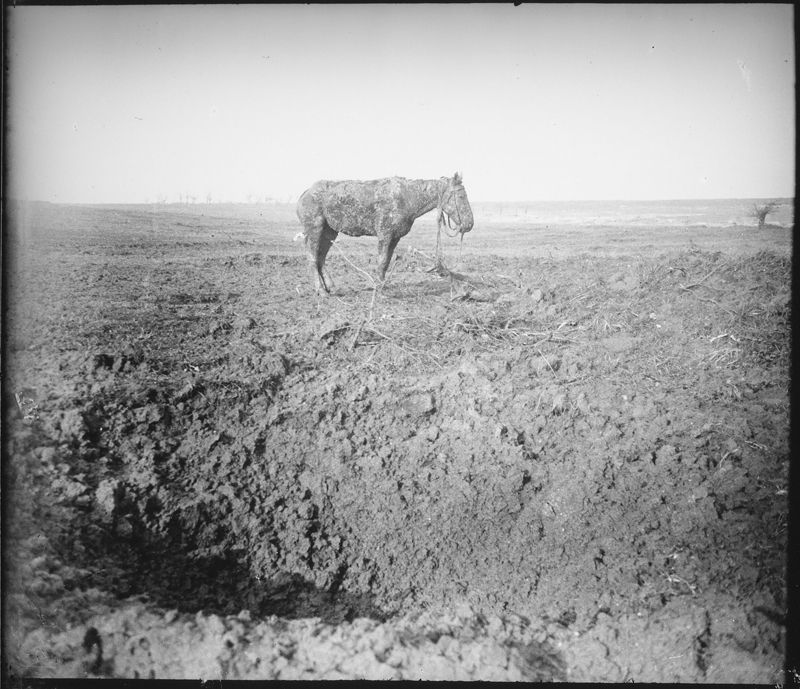 Despite the advent of mechanization — horsepower was a unit of measurement initially defined to compare the output of steam engine with the power of draft horses — in the twentieth century, the horse was present on the battlefield up to the Second World War during which the largest number of horses were employed. The horse offers the possibility to charge the enemy in order to break through its lines. 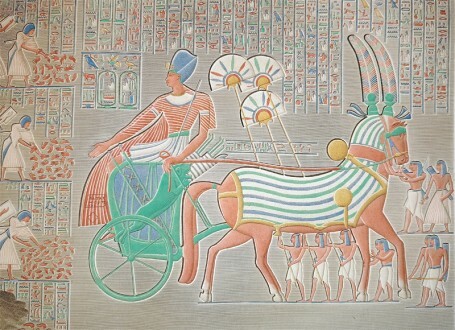 During the Antiquity, harnessed horses pulling box-chariots were used for mass charges. 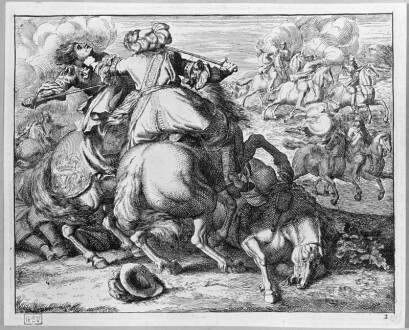 Although chariot warfare proved quite efficient; its limited manoeuvring and stability restricted the army’s ability in its pursuit of the enemy. 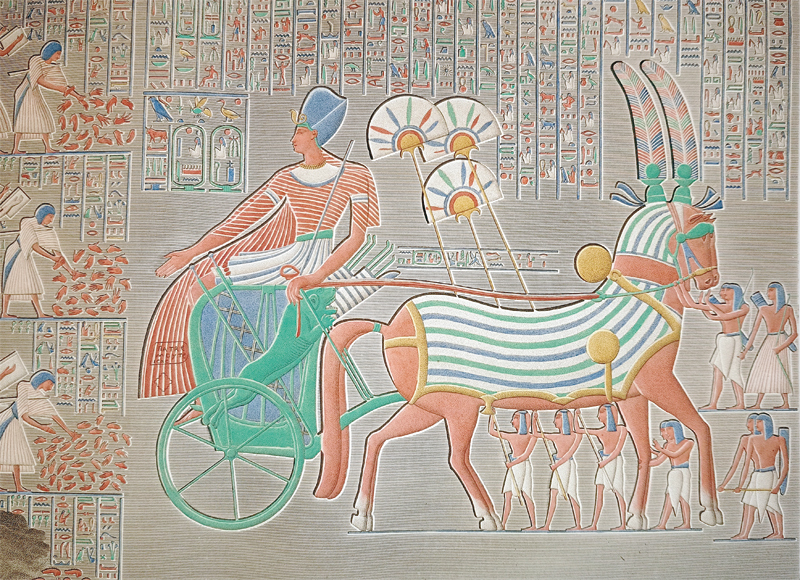 Thus, formal cavalry tactics gradually replaced chariot warfare. In Ancient Rome, cavalry was considered as military aristocracy, a caste with political power. Medieval society was traditionally divided into three “estates”, a tripartite social order directly inherited from the Romans. 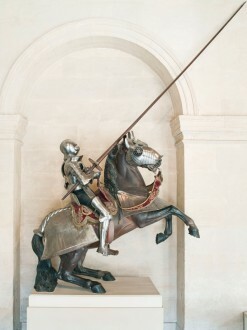 The “Second Estate” was composed of the nobility, dedicated to the art of war; the primary role of the knights was to fight battles for his lord. Knights practised their horsemanship skills and prowess with the use of the weapon of joust and combat skills in mock battles. 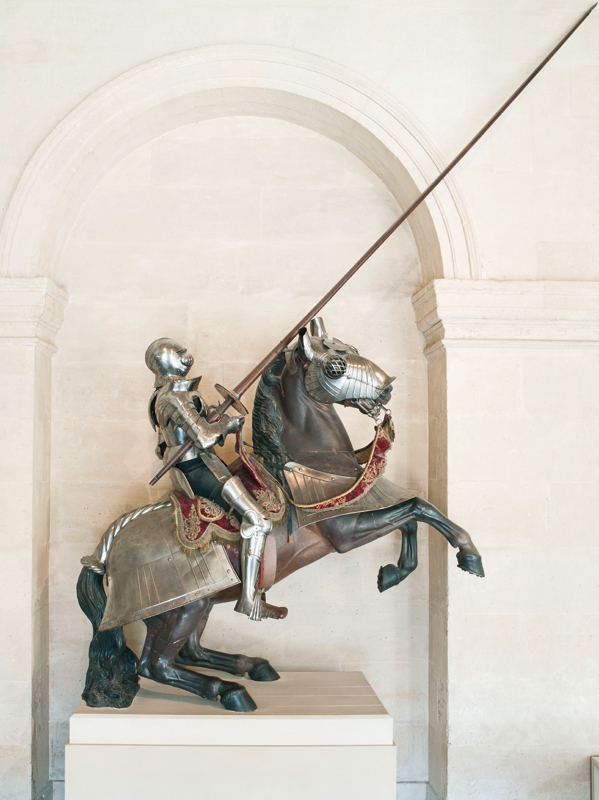 During the Middle Ages, the light and fast horses used in the antiquity gave way to heavy and powerful horses capable of supporting the weight of a knight in full armour. The art of chivalry meant to be a noble art but proved unfortunately useless with the appearance of the arquebus and the emergence of infantry. The Hundred Years War saw the rise of the professional armies that marked a turning point in warfare, the obsolescence of French Chivalry in front of a less flamboyant but organised English army. Light cavalry increased in importance as it could be used for reconnaissance and pursuit of the enemy. All throughout the eighteenth and nineteenth centuries, the advent and development of artillery still undermined the supremacy of the cavalry. However, when cavalry was employed in a combined-arms tactic, it could stand up to any army and as such it remained a valuable military asset until the beginning of the twentieth century. The horse is not only a fiery steed thrown into the battle. Above all, he is one of the most essential and modest of the pack animals and, thanks to its pulling force, could transport the soldier’s food and baggage and move military equipment during a campaign. A trotting horse can carry up to 700 kg, ten hours per day when a powerful man could never equal or even hope to reach this performance. 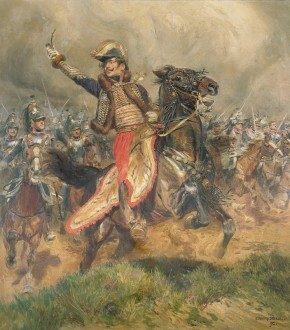 The horse can therefore be considered an essential asset in military logistics. 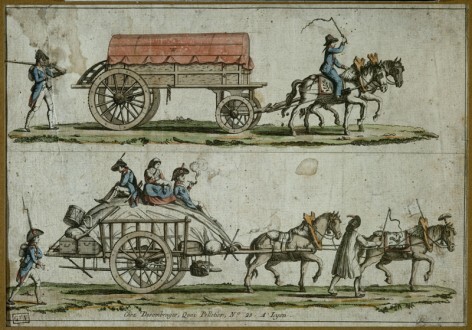 Although horses were used well before the French First Empire, it was Napoleon I who, in 1807, was the first to create a regiment specifically devoted to the transport of supplies, called Train des Equipages Militaires or baggage train. 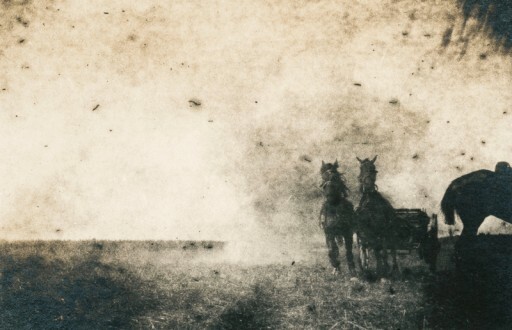 Although the use of combat horse became obsolete with the progressive development of artillery, it paradoxically made the presence of pack horses even more indispensable on the battlefield since enormous guns and heavy projectiles could only be transported by horse artillery units. 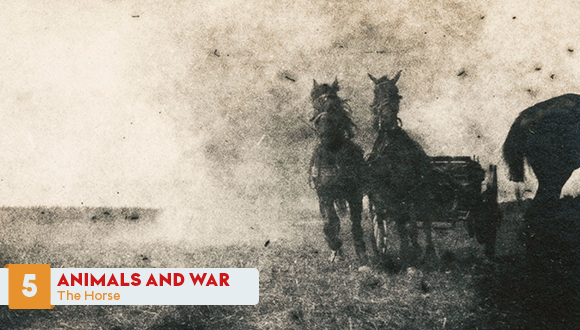 During the First World War, the advent of mechanization did not diminish the number of pack animals in the armies. They even became predominant since they were able advance through the muddy roads filled with shell holes. This ability to progress under difficult conditions is still being used today. The so-called draft horses no longer draw wagons but there are still pack horses, especially in the Austrian and Swiss armies, used for mountain missions. These animals were also used in Afghanistan to transport equipment where rough terrain and lack of oxygen made it impossible to use all-terrain vehicles or helicopters.